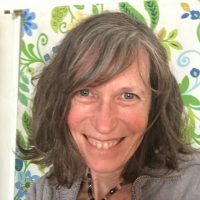 Laura Ann Smith brings over 20 years of massage practice together with her training in Ayurvedic principles and therapies in order to provide deep and nurturing bodywork. Her treatments combine the ancient methods utilized in Ayurveda for nourishing and detoxifying with the intuitive touch of a practiced therapist. Laura has also been trained to serve clients with hypnotherapy and EFT (Meridian Tapping) to help explore and/or release mental or emotional habits that have become obstacles to happiness and spiritual emergence. 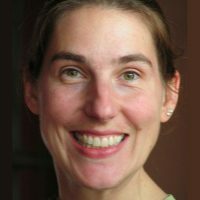 Laura also provides bodywork and guidance to pregnant and postpartum mothers as well as to clients during the Panchakarma cleanse. Isabel empowers women with digestive issues to take charge of their health naturally. 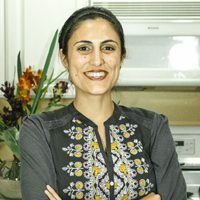 She also works with women looking to Ayurveda for general preventative health. Consultations provide simple, everyday tools to align body, mind, and spirit for optimal health on every level. Ayurveda provides balance not only for today, but for years to come. Summer is a Quaker minister, visual artist, viniyoga teacher, and yoga therapist. She teaches the art of personal practice and the science of transformation. Her goal is to help people identify the habits that lead to their suffering and, through the mechanism of awareness, learn to transform them. Humans are multi-dimensional beings and Summer offers her students and clients personalized tools that support them on every level (physical, energetic, sensory, intellectual, and spiritual). She teaches meditative yoga classes, works with people one-on-one, and teaches a year long immersion course based in the ancient texts of yoga (both online and in-person). She publishes the Yoga Church Sunday Sermons—a free weekly sermon delivered to your inbox. And will begin offering an annual Yoga Church retreat in 2019. I have been practicing and sharing henna for the past 7 years. I create custom, and often intuitive, body art that lasts 1-3 weeks. Henna is a beautiful and ephemeral adornment that I find to be powerful in times of celebration and transition. It can also be used as a visual tool to aid in intention-setting and manifestation. No matter the purpose, I am always thrilled to share this work with others.